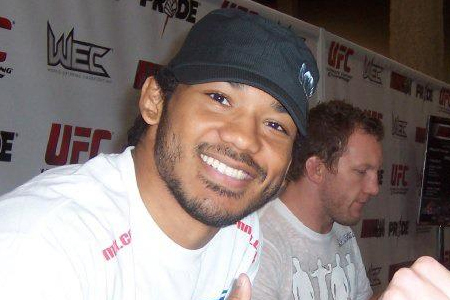 Are you tired of improperly executing Benson Henderson’s (Pictured) inside crescent kick into an axe kick, Muay Thai back-leg roundhouse kick and head in the chest blast double-leg takedown on your little brother? Boy, do we have some great news for you. During this week’s edition of FUEL TV’s “UFC Ultimate Insider,” the freshly-minted UFC lightweight champion shows fans how to correctly implement three of his signature moves. Henderson is slated to rematch Frankie Edgar later this summer.